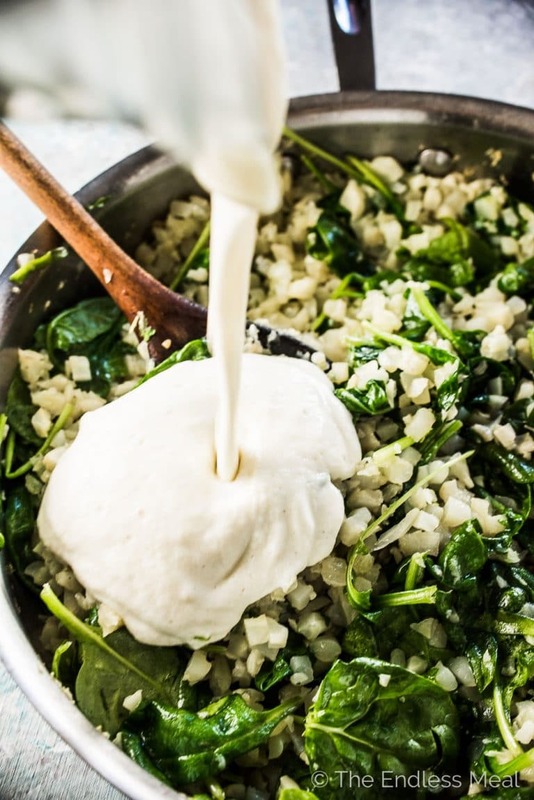 This insanely creamy Spinach Lemon Cauliflower Rice Risotto is all things delicious. It's made with sauteed cauliflower and a healthy cauliflower cream sauce (dairy-free or regular, your choice!) and has lots of fresh lemon flavor. 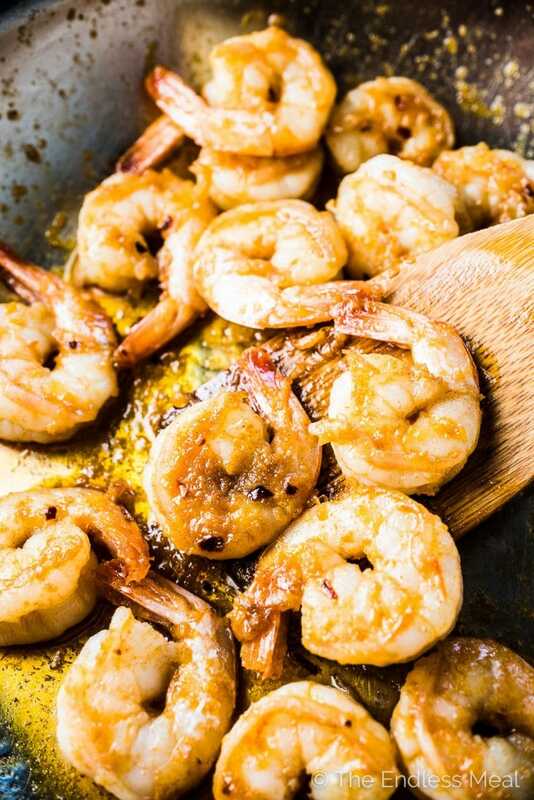 Top with some spicy garlic prawns for a simple to make dinner everyone will love! This is all about a super creamy sauce and loads of fresh lemon flavor. It wraps itself around the cauliflower rice just like the creamy starch in a regular risotto. I've thrown some spinach in there too cause a splash of green = awesome. It's the creamiest risotto this side of Italy. You want to be healthy, but you want to eat delicious food, too. With this recipe, you can have it all. Cauliflower is still going strong as most adaptable veggie of all times and you know it. Also adaptable – this recipe. We love it served with some garlic chili prawns but we've used the same spices on some fried tofu for a delish plant-based meal. Two sauces – one delicious recipe. Feeling like some cheddar cheese? The cheesy sauce is EVERYTHING. Feeling like a super clean recipe? The dairy-free cream sauce is also uuumazing! Thanks to Mann's Cauliflower “Rice” this is literally the easiest cauliflower rice risotto ever. See that picture up there? That's the secret ingredient that turns this recipe from tedious to super easy. We're big fans. What I'm talking about is Mann's Fresh Vegetables‘ Cauliflower “Rice”. They've done all the hard work for you so all you have to do is open the bag and pour in the veggie rice. So easy! And let's be honest, making cauliflower rice is a bit of a pain, especially when you need to make a lot. I usually use my food processor but that means having to dig it out, dust it off, use it to make 4 or 5 batches (cause you can never do it all at once), and then clean all those finicky nooks and crannies before rearranging the cupboard again to try and get it back in place. I'm exhausted just thinking about it! Using Cauliflower “Rice” is WAY easier. It's not the first time I've used their pre-cut veggies to make my life more simple. You might remember the Late Autumn Shaved Brussels Sprouts Salad, the Loaded Butternut Squash Taco Salad Fries, and the Maple Bourbon Sweet Potato Ribbon Casserole. All those recipes use Mann's Fresh Vegetables' veggies. Like I said, we're big fans of them! That deeeelish sauce pouring into the pan up there is what makes this cauliflower rice risotto. You see, when you make a regular risotto it's the starch from the rice that makes it creamy. That's obviously not going to happen with cauliflower rice, so you need to up your game if you want creamy risotto. (you ALWAY want creamy risotto.) I'm talking about making a sauce to add to the pan to mimic the creaminess of a regular risotto. 1. A cheesy cauliflower sauce with white cheddar and parmesan. OMGeee and all the heart eyed emojis. 2. A dairy-free cauliflower sauce that gets its creaminess from cashews and its cheese-like flavor from the nutritional yeast. If I had to choose one of them to eat for the rest of my life, it would be the first option. Hey, I like cheese! But when I'm doing the Whole30 Program or cooking for vegan friends, the second option is a delicious way to go. Garlic chili prawns. Those babies are how you turn Cauliflower Rice Risotto into the best meal ever. They're cooked in salty garlic butter with a little paprika and chili flakes. Even though they're super simple to make they're crazy flavorful. They also go perfectly with the lemony risotto. Lemon + seafood = best combo ever. 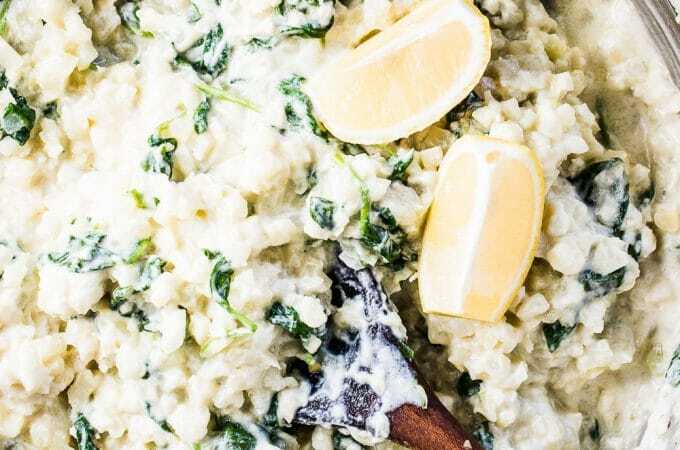 If you love this Spinach Lemon Cauliflower Rice Risotto as much as I do, make sure to give it a 5-star review in the comments below! Heat the oil in a large frying pan over medium heat. Add the onion and cook until it is transparent, about 3-4 minutes. Add the cauliflower and broth and bring to a boil. Cook the cauliflower, stirring occasionally, until it is soft, about 8 minutes. Remove the pan from the heat. If you're using the Cheesy Lemon Cream Sauce: Remove 2 cups of the cauliflower and add it to your blender with the milk. Blend on high until smooth. Add the cheddar, parmesan, sea salt and lemon juice and blend again until the cheese has melted. If you're using the Dairy-Free Lemon Cream Sauce: Remove 2 cups of the cauliflower and add it to your blender with the cashews, nutritional yeast, sea salt, and lemon juice and blend on high until smooth. Add the spinach to the cauliflower rice and put the pan back on the heat. Let the spinach wilt then pour in the sauce you made and let it heat through. Either serve right away or set it aside while you make the garlic chili prawns. 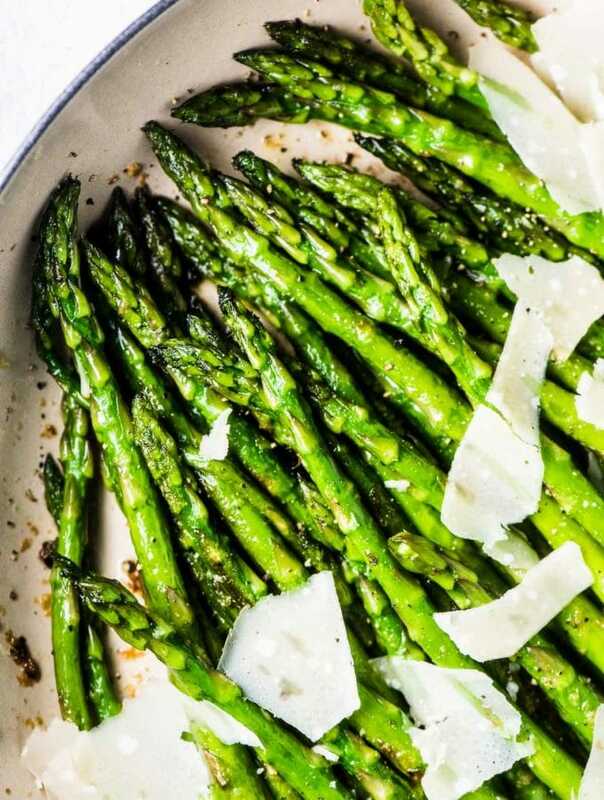 Heat the olive oil or butter in a medium-sized frying pan over medium-high heat. Add the garlic and cook for 1 minute. Add the prawns, paprika, chili flakes, and sea salt to the pan and mix the prawns and spices together. Cook the prawns for two minutes then turn them over. Cook them for another two minutes, or until they are no longer opaque. 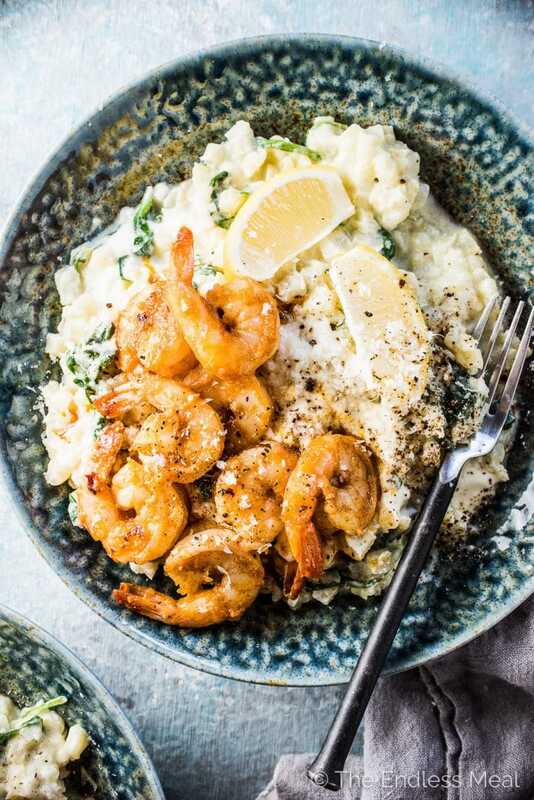 Serve the prawns and pan juices over the cauliflower rice risotto. Hello! When the recipe says add 2 cups of the cauliflower for the dairy free sauce do you mean the cauliflower that we cooked in the pan or additional cauliflower rice? Thank you!!! Just made this. I subbed heavy cream for the milk (keto) and added some fresh cracked black pepper. Absolutely delicious and decadent with the lemon cheese sauce. Yummy!! Made the vegan version just because I was curious to try nutritional yeast. Delicious!! And easy to make. Thanks. 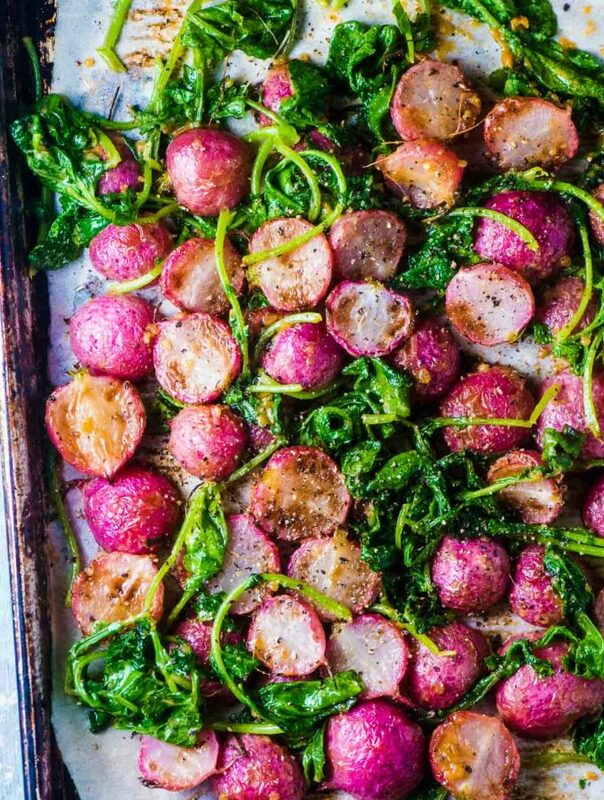 Great side dish (did not make shrimp). Hi Kristen! Sadly, they don’t carry Mann’s at my local IGA (despite the fact that the website says they do). If I make my own cauliflower rice from scratch, how much cauliflower do you reckon it requires? 1 large? Looks like the pieces are a little bigger that typical food processor cauliflower rice so I’ll be judicious about pulsing it. Soooo excited to try this out! Oh what a shame! One of their bags is roughly 1 large cauliflower. One of the things I like about using Mann’s (other than it’s SO easy) is that the pieces are a little bigger so it has more texture. Maybe I just pulse mine too much! This was insane! I’ve tried a few other cauliflower rice risottos before but none of them ever hit the mark. The creamy sauce is what made this. I tried the cheese version this time but I think I’ll try the vegan version to see what that is like next time. Thank you thank you thank you! That seriously makes me so happy to hear. Hooray!! I made the original dairy free recipe and realized that it would convert to a nice Alfredo sauce with a little garlic. The second batch served the sauce over zoodles to my picky husband without a hint that it was a healthier version. He kept raving about it! I see vegan adaptable, and I CLICK! This risotto looks to die for and I’ve been missing it so much–it’s been AGES since I’ve last had risotto. It’s delicious! 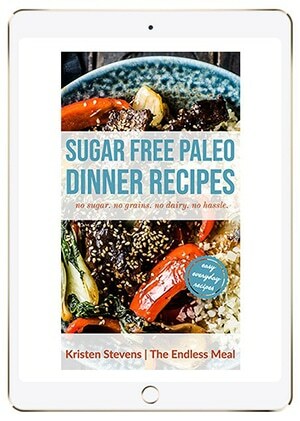 I’ve been really focusing on being more clear about which recipes can be adapted to different diets. I’m so happy it’s working! You should totally make this one. So healthy and yet so indulgent. It’s my fav!